Gartner Recently introduced the idea of "ContinuousNext." What is "ContinuousNext" and how will it affect PPM planning and execution in the months and years ahead? Enterprises of all sizes will assume the stance that Gartner calls ContinuousNext, an environment characterized by perpetual renewal, swift delivery and interaction. In ContinuousNext, leaders must apply three principles — shape, shift and share — to consistently benefit from consistent, unending change. It has important implications for PPM culture, processes, approaches and roles. This year’s conference theme, Rapidly Transform PPM for Continuous Change, is grounded in the ContinuousNext concept. The transition to digital is accelerating, disrupting business models and changing how organizations create and deliver value. To avoid chaos and succeed in the ContinuousNext environment, PPM leaders must anticipate change and embrace new processes, skills and technologies that support agility and responsiveness. We’ve identified five key imperatives that will help companies succeed in ContinuousNext: culture, privacy, artificial or augmented intelligence, a shift from project delivery to product innovation, and digital twins. ContinuousNext will present real challenges for PPM leaders, but we believe that if you focus on the culture and skills issues, the rest will follow. More and more organizations are moving from “project management” to “product management” scenarios. How do the two approaches differ, and what impacts will the shift have on PPM? Digital innovation requires organizations to shift from a project-centric approach to a product-centric approach, with a new focus on a comprehensive management throughout the product life cycle. A product-centric approach makes it easier to rapidly innovate and iterate by focusing on incremental change through a lifecycle approach utilizing dedicated teams. The model is ideal for integrating digital technologies where ongoing streams of change are necessary for success. The goal of this kind of product leadership is rapid, technology-infused development and testing, along with higher customer engagement and improved delivery channels. Cultural change is said to be crucial to digital business success. Why is that true, and what can PPM leaders do to drive culture change in the PPM discipline? PPM leaders are recognizing that digital and business transformation initiatives depend on successful cultural change, requiring mastery of new skills, behaviors and attitudes that is often easier said than done. PPM leaders must fill this organizational and process vacuum in order to drive change and execution success, regardless of who else claims organizational change as part of their title. The key is to identify potential pitfalls in organizational change practices; that way, the odds of transformational success increase exponentially. In order to support agility and digital business growth, PPM and other digital leaders must create a collaborative, inclusive culture that’s innovative, empowered and customer-centric. 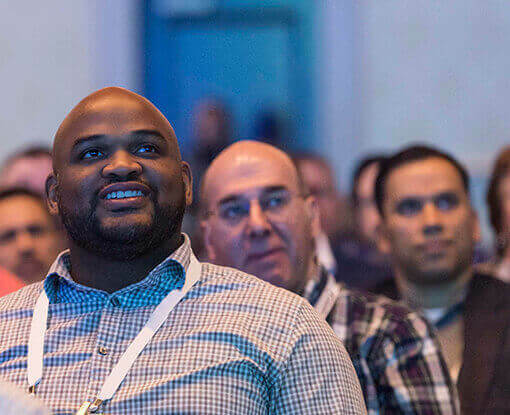 At Gartner, we’re seeing that more than a third of CEOs are looking to make significant or deep changes in culture by next year, which means that the expectations for cultural transformation are considerable, and the timeline is short. This year at the conference, we’ve dedicated an entire track to culture change — why it’s so important to digital transformation and how to lead it effectively. We’ll be looking at the critical soft skills needed for continuous culture change and how you can coach your PMO and PPM team members to evolve, and will be presenting sessions that focus on the evolving role of women in IT. PPM leaders are being advised to let go of the traditional “risk-averse” point of view. What is a better approach, and how will that benefit the organization and PPM leaders themselves? In many ways, PPM leaders are at a crossroads; they must address how they perceive and carry out their roles and modify their processes, talent and decision making, and fully embrace risk, speed and change. If not, they will almost certainly be left out of the digital world. At the conference, we’ll address the issue of professional relevance in Devote Time to Building a Career — Not Just a Job, a session that explores the key components of effective leadership and professional fulfillment in the long term. In an atmosphere of disruption and continuous change, how can PPM ensure that high-value initiatives and investments are prioritized, implemented and balanced? Clear, measurable business goals should drive every decision-making process, at every level, especially in an atmosphere of discontinuity. If the organization never got good at this, the time is now. PPM leaders must make a commitment to capturing traceable metrics and surface value continuously across every execution mode, every type of team and every level of work. That approach allows for ongoing benefits realization, prioritization and investment governance. The bottom line is that every organization still has to balance multiple, conflicting demands as well as the traditional constraints of time, resources and money to arrive at an optimized portfolio that meets business needs — not just for innovation but for operational efficiencies and effectiveness. At the conference this year, we’ll conduct a hands-on workshop that identifies common signs and symptoms of portfolio imbalance, and considers approaches to portfolio segmentation and categorization. Gartner recently introduced the idea of “Continuous Next.” What is Continuous Next, and how it will affect PPM planning and execution in the months and years ahead? Gartner Program & Portfolio Management Summit 2019 delivers the insight you need to successfully navigate the old world of compliance and risk aversion with today’s world of speed and agility across the complex set of practices, roles and technologies that make up the daily life of a PPM leader. Discover our four tracks and 95 sessions designed to address key challenges you face like agility, transformation, product management, resource planning, innovation and many more. Advance your PPM strategy to support changing business needs.